If you’re asking your employees to leave their normal digital workplace to take online training, you’re doing it wrong. You can’t expect them to! Instead, let the training find them at the right time and in accordance of what they’re currently working on. 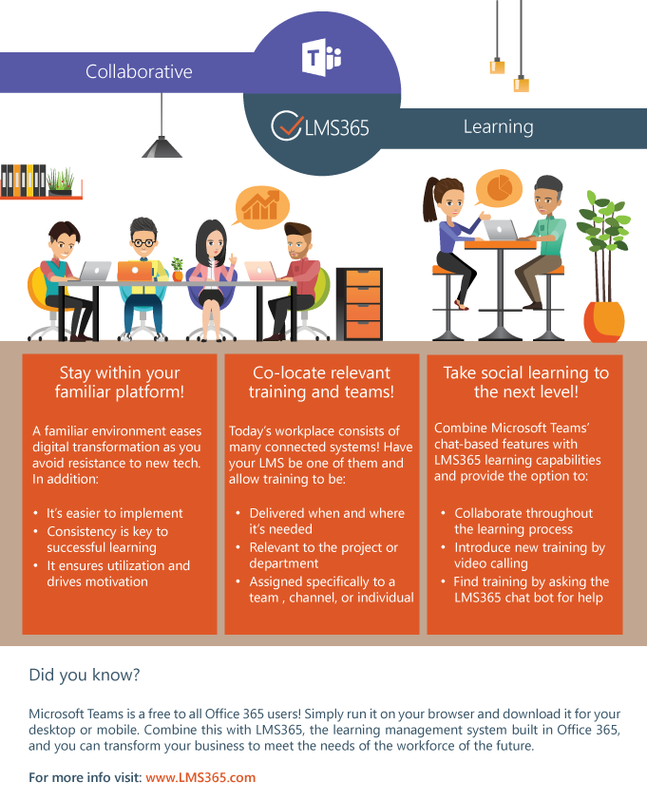 Download and share our Microsoft Teams x LMS365 Infographic and learn how online training can become an integrated part of the Microsoft Teams experience. Combine formal learning with social interaction and chat – now that’s a smart choice!